Nottinghamshire Hockey Association (NHA) is the highest level of Administration in the County. 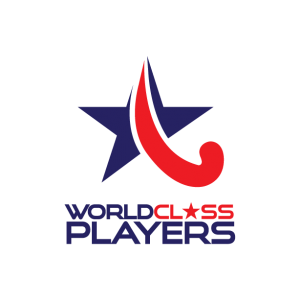 The two main sub-committees hockey players in Notts will know of are the Notts Women’s Hockey League (NWHL) and the Nottinghamshire Hockey Development Group (NHDG). NWHL – whilst they mostly run themselves as a self contained unit, NHA is ultimately responsible for the smooth running of the County league and cup competitions. Hence the NWHL has a member that sits on the NHA Executive. NHA have been asked by member clubs to raise issues and mediate in the past. NHDG are involved with running all the junior (up to U17) and single system hockey within the county. Both clubs and schools. They run the ‘single system’ Junior Development Centres (JDCs – Old ‘County Trials’) and Junior Academy Centres (JACs – old ‘County age groups’) on behalf of NHA. Both boys and girls at U13,14,15,16 & 17. But again, NHA is ultimately responsible for their output. Along with NHDG, NHA also supports the Central Venue League. A central league based at Nottingham Hockey Centre for Nottinghamshire schools at Year 7/8 & 9/10. We are involved with Nottingham Hockey Centre’s ‘Hockey in the Community’ scheme. We have a generic booklet that goes out to all attendees with details of ALL the County clubs on it. We have this County website (www.nottshockey.org.uk). Through this we disseminate information to any interested parties, field inquiries from people looking for clubs and put them in contact with those clubs most local to them. For clubs that don’t have their own website there is the possibility of us hosting a Contact and Details page for them. We act as the central resource for Hockey in Nottinghamshire. We provide 3rd party insurance for all the County sub-committees. NHA also promote hockey throughout the County. Forwarding on information to clubs about opportunities. We determine demand for Coaching and Umpiring courses and, where possible, try and persuade England hockey to provide them locally. We work with our England Hockey Regional Development Manager to feed back into England Hockey about anything brought to us by clubs and to try and help clubs gain funding from bids to Sport England, The Hockey Foundation etc. We work with clubs to actively try and improve the standard of hockey in the County. We manage the Senior Men’s County Squad (due to lack of interest there is no Ladies squad – but we are open to starting one up if there is the interest again). We have a representative that travels to, and sits on, the East Midlands Hockey Umpiring Association (EMHUA) committee, raising clubs/County concerns about umpiring where appropriate. We also have two representatives that sit on the MRHA ‘Council’ In order to raise County/club concerns at a Regional level. Ultimately we are there to help clubs however they want us to. The committee is highly experienced in all aspects of hockey from playing, to managing a club, to coaching, umpiring and even being a technical official. Over the years we have tried to assist many clubs develop. There are 22 clubs in Nottinghamshire – almost the biggest county by participation in the Country! In the 2016-17 season there are 109 senior sides playing in competitions at the weekend (and an unknown number of junior teams). Get in touch if you feel we may be able to assist your club in any way.